A direct link has been implemented between vintrace and ETS Labs. This link will allow ETS labs customers to directly get their analysis data without needing to download and/or upload files. You will need to fill out an ETS release form before proceeding. Click here to download the form. 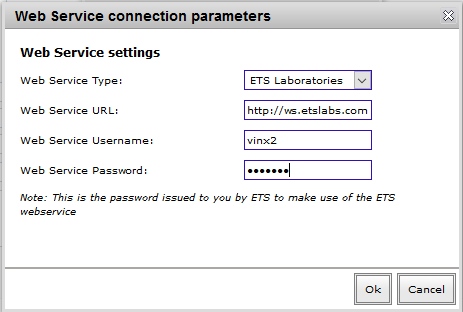 Go to the Address Book, select the ETS Lab. 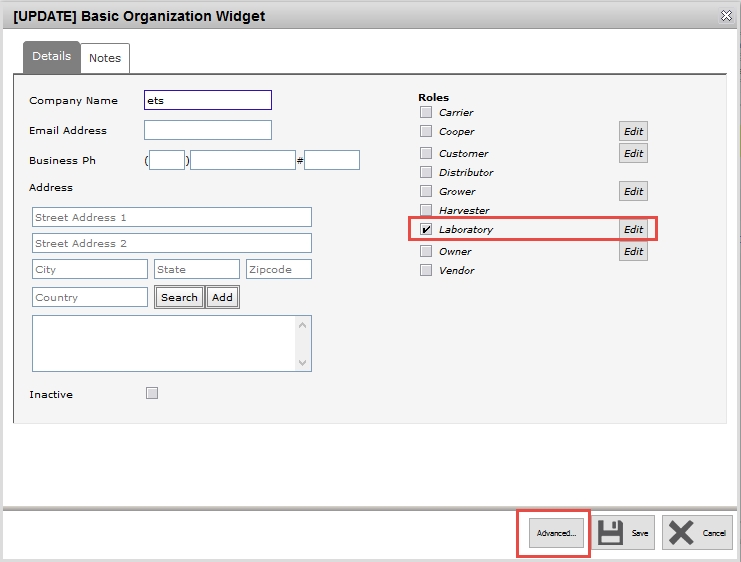 Either click the Edit button to the right of Laboratory, or click the Advanced button at the bottom. 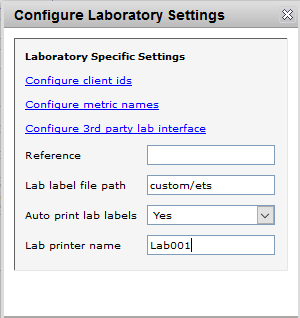 If you use the Edit button, it will take you directly to the Configure laboratory settings screen. If you chose to click Advanced, then click the Roles tab and select the Laboratory role. 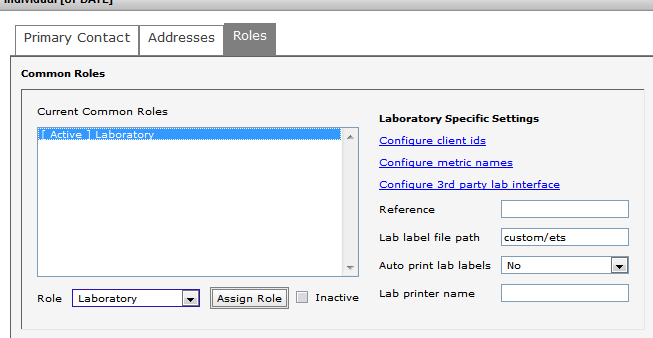 Once again, the Configure laboratory settings screen will open. Please, enter your ETS client ID in the ClientID column and press the “check” button in the right hand side to verify that this ID is unique. After that, press “Ok” and “Save”. 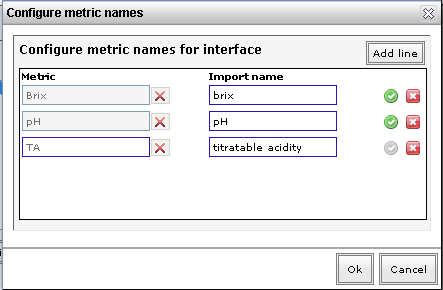 Now, click on ‘Configure 3rd party lab interface’. A new window will pop up requesting the parameters to make the link possible. Please contact ETS I.T. to get the username and password.